Deep Space Station 34 is a Beam Wave Guide, 34-metre diameter antenna. 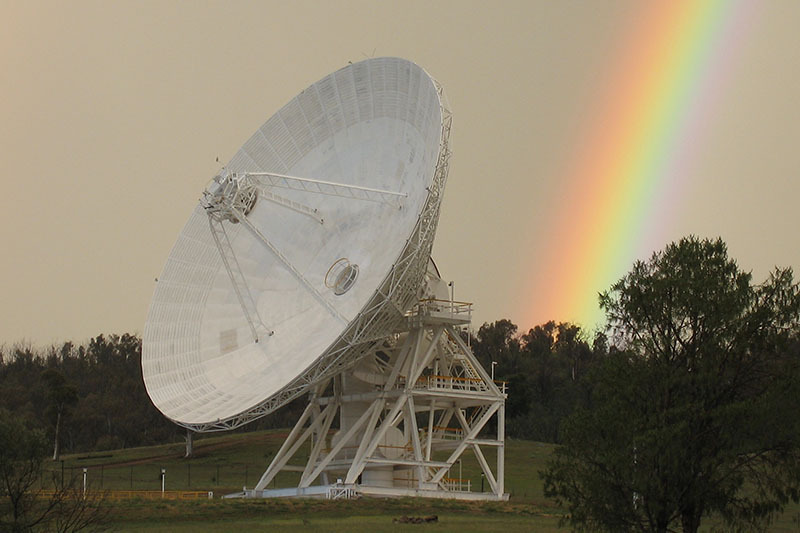 It was the first of a new generation of antennas for the DSN. Deep Space Station 34 (DSS-34) was built from 1994 to 1997. 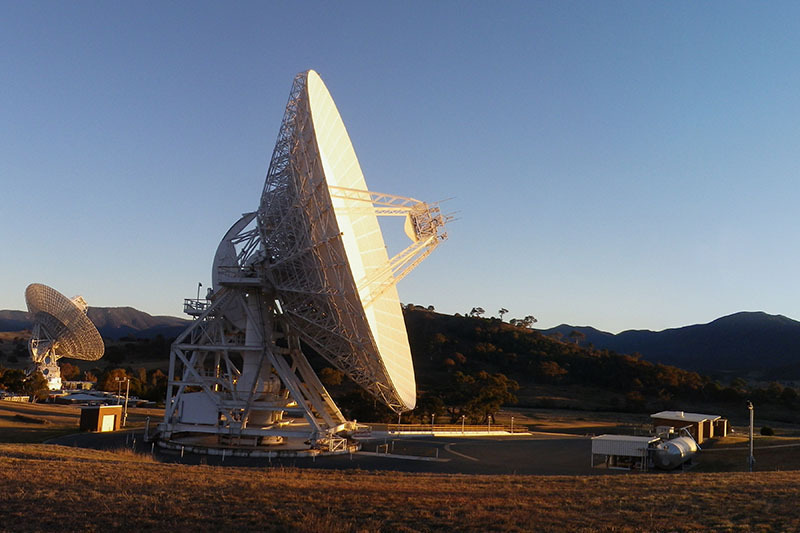 The antenna is very similar in structure to DSS-45, however the transmission and reception equipment is located underground rather than in the centre of the dish. 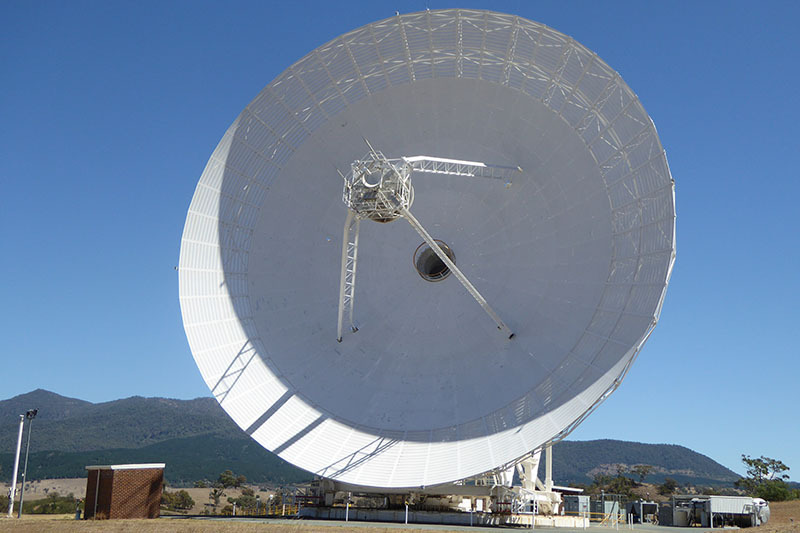 The radio signal is guided from the subreflector through a hole in the surface of the dish and on to the receiving equipment via a system of reflecting mirrors inside a large tube. The reverse process allows transmission. This design is called 'Beam Wave Guide'. Find more photos of Deep Space Station 34 in our Gallery.